This section contains walking sticks and canes. 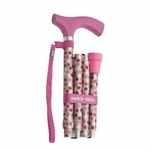 We carry a wide variety of canes, including bariatric canes and folding canes. You'll find small and large quad canes, wood handle walking canes, and all styles and types of shafts including wood shaft canes and aluminum shaft canes.